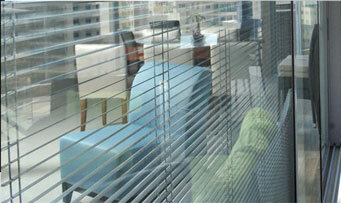 Planitherm™ energy saving glass is a new generation of glass technology. It uses advanced coatings to retain more internal warmth. It does this whilst still capturing free energy from natural daylight. That means lower energy bills compared to standard windows.It retains more warmth in a room, but still allows the capture of more free energy from natural daylight. It can be use for double glazing integral blinds. Planitherm™ energy saving glass provides better thermal insulation using very low-E double glazing. It is three times more efficient than standard double glazing and exceeds newly revised Building Regulations energy efficiency requirements. This allows you to have lower energy bills compared to standard windows. This will allow you to have A rated windows and choose a frame to suit your needs for a similar cost to less energy efficient windows. By using a special coating to reflect heat from domestic heat sources back into the room, you can save heat and money. Saint-Gobain Glass manufacture Planitherm™ energy saving glass for the UK market. The design keeps interiors more comfortable in the colder months but also helps to improve a building’s energy efficiency. Planitherm™ energy saving glass is three times more efficient than standard double glazing materials – ideal for use with double glazing integral blinds.